The Comprehensive Gastrointestinal Test is the first choice analysis, not only for those with digestive problems but for everyone since most of the health challenges begin in the gut. The test is a roadmap inside the gastrointestinal tract to see where there is a problem of either digestion, absorption or in the intestinal flora. This test is not routinely run by gastroenterologist but is a functional medicine analysis and an essential tool to treat chronic conditions and symptoms of any form. It is also extremely important for athletes and those who want to lose weight. “All diseases begins in the gut.” – Hippocrates. 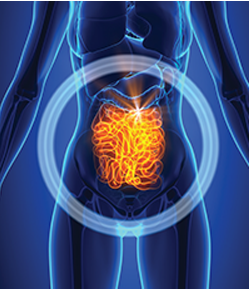 The intestinal permeability test is an essential tool in the treatment and prevention of most chronic conditions and for those suffering from allergies, sensitivities and gluten intolerance. Those with intestinal permeability have large protein molecules, undigested foods, bacteria, fungi and parasites that slip through the intestinal wall, reaching the bloodstream and causing all kinds of problems. Testing positive for intestinal permeability, really means you’ve got a diagnosis that still needs to be made. The test is very useful not only for those affected by auto immune disease but for general wellness, preventive medicine and for athletes. The small intestine should be almost sterile but those with poor gut flora leave an open window for bacteria to move up to the small intestine causing all sorts of symptoms which among the most common is acid reflux. Many of the symptoms are due to malabsorption of nutrients, or effects of bacteria which either metabolize nutrients or cause inflammation of the small bowel impairing absorption. Children with bacterial overgrowth may develop malnutrition and have difficulty attaining proper growth. The test is very useful not only for those with acid reflux or digestive problems but also for general wellness, preventive medicine and for athletes.